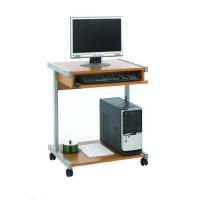 Jemini Intro Beech 650mm Mobile Computer Workstation KF14101 Pack of 1 Jemini Intro Mobile Workstation with roll out keyboard and printer shelf. Complete with 50mm castors (2 lockable). W650 x D500 x H780mm. Finish - Beech. Non returnable. 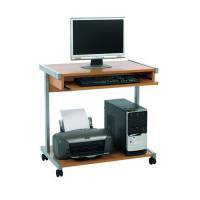 Jemini Intro Beech 800mm Mobile Computer Workstation KF14111 Pack of 1 Jemini Intro Mobile Workstation with roll out keyboard and printer shelf. Complete with 50mm castors (2 lockable). W800 x D500 x H780mm. Finish - Beech. Non returnable. Jemini Intro Mobile PC Printer Stand Beech KF97101 Pack of 1 Jemini Mobile PC/Printer Storage Stand. 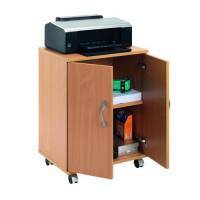 Open mobile storage unit supplied with two adjustable shelves. 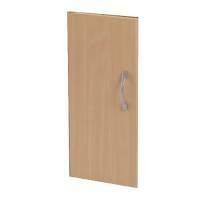 Optional door pack available separately see KF97102. Dimensions: W401 x D700 x H600mm. Finish - Beech. Jemini Intro Mobile PC Printer Stand Door Pack Beech (Pack of 2) KF97102 Pack of 1 Jemini Door pack for use with the Jemini Mobile PC/Printer Storage Stand (see KF97101 for complete unit). Finish - Beech. 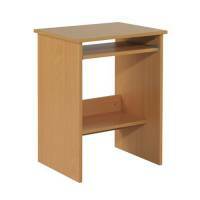 Jemini Intro Computer Workstation Beech KF73664 Pack of 1 Jemini Intro Budget Computer Stand Beech KF73664. Complete with storage shelf and pull-out keyboard shelf. W550xD450xH733mm. Non returnable. 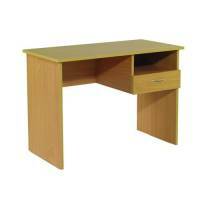 Jemini Intro Homework Desk Beech KF73665 Pack of 1 Jemini Intro Homework Desk Beech KF73665. Complete with drawer and open storage area. Dimensions: W1000xD500xH730mm. Non returnable.